U.S. website NK News reported Friday that North Korean leader Kim Jong-un owns a Mercedes-Maybach S600 luxury sedan even though international sanctions ban the export of luxury goods to his country. 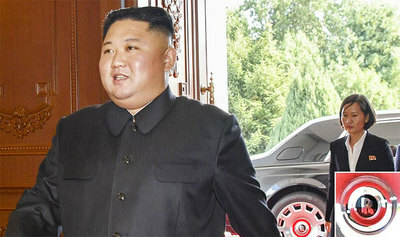 The car was identified as Kim was being driven to a ceremony congratulating a delegation of North Korean musicians and performers after a visit to China. 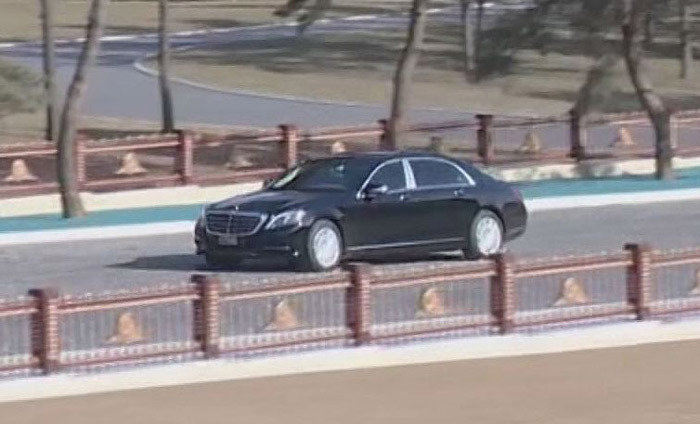 A Mercedes-Maybach believed to be North Korea leader Kim Jong-un’s new car is shown in this video grab from [North] Korean Central Television on Friday. "Close-up pictures of the rear-door bodywork showed layering inconsistent with the standard edition of the vehicle, available since February 2015, suggesting Kim may have opted for the exclusive and heavily-armored 'Guard' model," the website added. A normal Maybach already costs around US$420,000, but the price tag is much higher for armored versions. NK News said this is a "blatant violation of [UN Security Council] sanctions not only by North Korea but also almost certainly by Mercedes." North Korean leader Kim Jong-un (center) along with his wife Ri Sol-ju (left) and his top aide Choe Ryong-hae reacts at a musical performance in celebration of the anniversary of the founding of the North Korean People's Army in Pyongyang on Friday in this grab from [North] Korean Central Television. 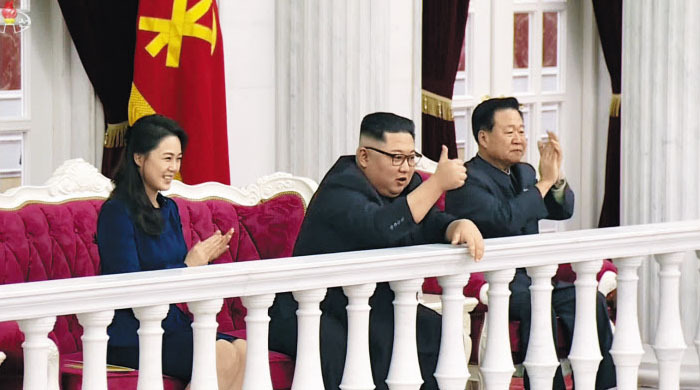 Meanwhile, Kim invited top military officials to Workers Party headquarters on Friday to mark the 71st anniversary of the North Korean People's Army by watching a musical performance. His wife Ri Sol-ju was also present.